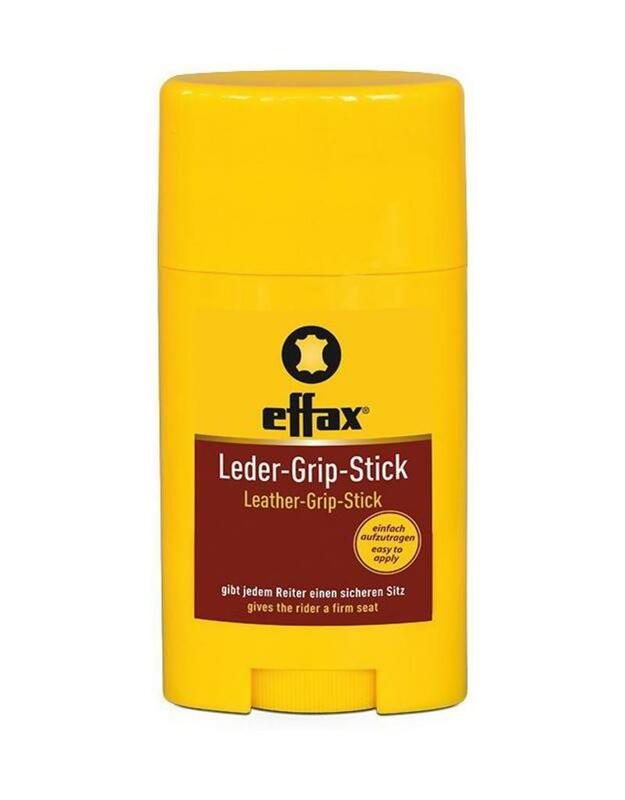 EFFAX Leather Grip Stick can be used very simply in any place, at any time, in order to give the leather a firm grip. No water is required - the product is applied directly to the leather in circular movements without any damage being caused either to the leather or to your riding wear. Excess residue can easily be removed from the leather using EFFAX Leather Combi (item No 700 221) or a damp cloth.